The Lobos have a 3-1 lead when the game is a non-district contest. The Lobos have a 9-1 lead when the game is a district contest. The two schools have never played a playoff contest. The Lobos have a 6-1 lead when the game is played at Longview. The Lobos have a 6-1 lead when the game is played at Mesquite. Longview has won the the last three meetings with the Red Raiders. Longview is 6-0 all-time against Mesquite at Lobo Stadium, with the Lobos winning the last six meetings there. The two schools have never met on November 9th. Last Week - Copperas Cove defeated Killeen Shoemaker 41-35, Killeen Ellison defeated Killeen 30-20, Waco Midway defeated Temple 31-28, Belton defeated Waco 63-7. Killeen Harker Heights is off. This Week - Waco Midway hosts Belton, Killeen Harker Heights hosts Killeen Shoemaker, Copperas Cove hosts Temple, Waco hosts Killeen. Killeen Ellison is off. In 1912, Tyler handed Longview a 45-7 loss at Fair Park in Tyler. In 1923, Atlanta knocked off Longview in Longview, 14-0. In 1928, the Loboes defeated Henderson 19-6 at Fair Park in Longview. In 1945, Joe Young tallied two touchdowns from 4 and 3 yards out at Lobo Stadium to knock off Tyler High, 12-0. The Lions were held to just 1 first down and 90 yards total on the night. In 1956, Rex Rey tallied three receiving touchdowns as Texas High defeated Longview, 32-6, at Lobo Stadium. In 1962, Texas High defeated Longview, 13-0, at Lobo Stadium. In 1973, Texas High and Longview battled back and forth all night long. Reginald Scott would score three touchdowns for the Tigers, while Mike Mock would scored three for the Lobos, as both teams would combine for 799 total yards in a 38-35 Texas High victory at Lobo Stadium. In 1979, Clifford Ward would rush back a 86 yard kickoff return for Longview’s only touchdown of the night as John Tyler escaped Rose Stadium with a 14-9 victory over the Lobos. 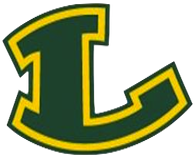 In 1984, Longview would rush out to a 40-7 lead at halftime as the Lobos rolled up 454 rushing yards in a 49-19 victory over Pine Tree. In 1990, DD Turner would score from 5 yards out in the first quarter before Chad Fox would get the winning score in the 2nd quarter from 1 yard out in a 27-7 Marshall victory at Lobo Stadium. In 2001, Willie Andrews would get Longview’s only score of the night as Lufkin’s defense would hold Longview scoreless in the 2nd in 21-7 Panther victory at Abe Martin Stadium. Longview actually out gained the Pack on the night but four turnovers did the Lobos in. In 2007, the Jags would throw the ball 45 times, but it wasn’t enough to escape the Lobos at Mesquite Memorial Stadium as five different Lobos would score a touchdown in a 38-13 victory over Mesquite Horn. In 2012, Tory White would score two touchdowns, and Nakia Brown would get a 43 punt return, as Longview would steamroll Rockwall, 40-7, at Lobo Stadium. Not even close and a blow out would be only choice for the Lobos. Only point to make is Lobos will win but when does the first team come off the field? At the end of the first qtr when its 28-0 or half time when its 42 - 6? Gotta keep the starters healthy. King's been keeping them in until around the 35 point mark the whole season, so there's that lol. Fleener has beat the Lobos as the offensive coordinator before. Of course not with the Skeeters so i'll go with the Lobos in a blow out. I think the Lobos end up winning this game easily, BUT I do think that the Skeeters will make them work for it for a while, which make LV very lucky to be able to get at least a little challenge after so many weeks without one. 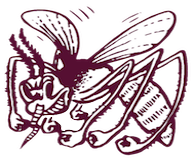 Having seen every team in the district now, the Skeeters are legitimately the 3rd best team out of the bunch. Their front 7 on D will make the Lobo offense have to work...for a while. In the end, they won’t hold up for 4 qtrs but I do see them pushing back for a half or so.